For those of you who have known me for a while, you’ll recall the insatiable appetite I used to have for sugar. There was always a bag of skittles in my purse, ice cream and cookies at home, and most study sessions would involve at least one chocolate bar. I couldn’t go a day without a major dose of the white stuff, and sadly, part of my personality was being a “sweet-aholic”. For most of my life it never occurred to me how addicted I was to sugar, until I tried quitting. The average North America eats 150 pounds of sugar a year. Don’t think that includes you? Consider that anytime you eat something from a bag, a box, a bottle, or a can, you are probably eating sugar. Sugar has many aliases, most of which are unknown to the layman. Always check the ingredient list for anything ending in “ose” (glucose, fructose, sucrose etc. ), or better yet, don’t eat anything with an ingredient list! Someone posted a question on my last blog entry about refined sugar, how bad it really is and if an ideal diet has none at all. Well, if you seriously want my opinion, I would say yes, if you want to see your health improve, cut it out of your life. Eliminating processed sugar from the diet is no small feat. I really didn’t think it would be that difficult, but my withdrawal symptoms spoke for themselves, since it truly is dietary crack. The road to where I am now has been very slow because I changed everything I ate instead of just cutting out sugar. As I moved away from processed foods and began eating things in their most natural state, the cravings naturally subsided. 1. Consume a whole foods diet. 2. Cut back on processed foods. 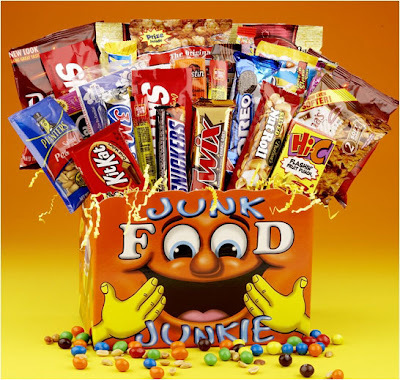 As mentioned above, almost all processed foods contain hidden forms of sugar. 3. Eat fruit. Fruit is a great way to eat something sweet, and control calories. Just stay away from dried fruit or sweetened fruit. 4. Eliminate ALL the white stuff. White flour, white rice, and white potatoes. These have the same affect on blood sugar as sugar, and this will make sugar harder to kick. 5. Avoid juice. Even 100% juice is sugar water in disguise. Drink water, and if you must, only a splash of juice for flavor. 6. Limit alcohol. Alcohol is made from sugar. It acts like sugar in the body. Especially when you first are trying to kick sugar stay away from any alcoholic beverages. 7. Avoid artificial sweeteners. These are just a crutch. They keep you from learning to enjoy the natural sweetness of real food. There are also studies that show that they can make you crave sugar, not to mention the studies that show other dangerous health effects like cancer. 8. Keep sugar out of the house. Do not temp yourself with your child’s pop tarts or your husband’s ice cream. Tell your family what you are doing and then put your foot down. It is hard enough with out sweets calling your name all day long. 9. Stop treating sugar as a comfort or reward. This is one of our biggest problems because it perpetuates the psychological hold sugar has on us in addition to the physical one. Use other things that you love as incentive. If you fall asleep after meals, have allergies, experience gas, bloating, joint pains, headaches, chronic fatigue, constipation, diarrhea, if you are over weight, if you have skin problems, or high blood pressure, there is a chance you have a sugar problem and would benefit from eliminating it from your diet. In other entries I will address sugar substitutes and the downside of artificial sweeteners. The topic of sugar is really huge and I can’t possibly discuss every aspect of it. If you would like to do some reading on this subject I recommend the following three books: Sugar Blues by William Dufty, Nutritional and Physical Degeneration by Weston Andrew Price, and Lick the Sugar Habit by Nancy Appleton. Great post – I am happy to read this as it’s been almost a year since I first thought of and started eliminating processed sugar out of my life – I struggled alot through the process, had ups and downs, cravings, going back to the old habits but now it’s all done or at least, I am maintaining as much as I can a healthy relationship with food and with myself. I never realized the journey I was on until I read this post. I am happy to know that it is normal to have struggle in that journey, as sugar IS an addiction. Great post, I’ve recently done a 4 week sugar fast and it was amazing what it did to my body but also how difficult it was. It made me a lot more conscious of which foods actually contain sugar. You mention dried fruit is bad for you, why? What about honey, is that any better than sugar, e.g. for baking? I would like to know… Since juices are sugar water, doing a juice fast is a bad idea? Please help me! What about unrefined raw cane sugar? I’ve read mixed reviews on its heath implications. Awesome! Thanks for sharing your first-hand experience with kicking the habit. I also think alcohol will be the toughest thing to avoid – But I do have skin problems, gas/bloating, get headaches, and feel tired alot. this could be a godsend! I look forward to reading more about it in the future. Thanks Sarah! I will try…but no alcohol? Yikes!